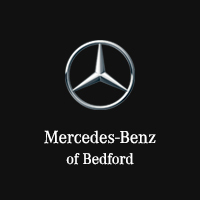 Attention All Customers I cant explain what an amazing shopping experience I had, thanks to a salesperson named (Saad Toor) I recommend everyone who wants to buy a car from this dealership to talk to Saad, man his kindness and honesty he treated me like I was his brother and treated the car I was buying like it was his own. I wish I could do more then this review, thank you so much (Saad Toor). Eat too work with and great follow up to make sure everything is going well. Thanks Saad! Went back for a second chance and Earl and Dave made it right the second time around.